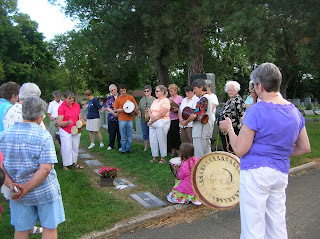 On Friday, 35 of us gathered at Trinity Cemetery on the first anniversary of the death of our sister, Ellen Porter, OSB. Her sister, niece and great-niece from Oregon came, as did two of our infirmary aides who worked with and then cared for Ellen during her last weeks. The rest of the group were "just us," her daily community: sisters, co-workers and friends, those who still think of her, miss her and wanted to join together in this remembrance. 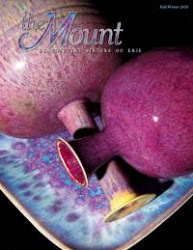 Ellen, a fine, fine poet, leaves us with a treasury of her reflections. Here's one I like. we stir toward the sacred. and up to clerestory sky. For more of her beautiful insights, see the link at right.